The Electric Dipole Moments of Molecules and the Principle of Electric Neutrality of Atoms, April 23, 1949. Statement by Linus Pauling, [re: communications with Ruth Shipley and others in regards to passport problems] April 23, 1952. The Absorption of Radiation or of an Electron, “Tenth Lecture of the Ionic Series”, [Seminar on the Properties of Monatomic Atoms and Ions] University of California, Berkeley, April 23, 1929. The Structure of Hemoglobin and Other Coordination Compounds of Iron, Rochester Section of the American Chemical Society, Rochester, New York, April 23, 1936. The Valence of Metals and the Structure of Intermetallic Compounds, The Bedson Club, King’s College, Newcastle upon Tyne, England, April 23, 1948. Chemistry in Relation to Medicine, dedication of Cleveland Hall and the Chemistry Laboratories, Mount Holyoke College, South Hadley, Massachusetts, April 23, 1955. Science and Freedom, Yale Law Forum, New Haven, Connecticut, April 23, 1956. Molecular Medicine, The Winter Night Club, Colorado College, Colorado Springs, Colorado, April 23, 1957. The Need for International Agreements about Nuclear Weapons, The Women’s International League for Peace and Freedom, Philadelphia, Pennsylvania, April 23, 1958. No Title, NAS Award in Chemical Sciences, National Academy of Sciences Award Meeting, Washington, D.C., April 23, 1979. No Title, at the Nutrition Luncheon Meeting, April 23, 1982. Nutrition and Health for the Professional, Western States Chiropractic Seminar, Portland, Oregon, April 23, 1983. The Path to World Peace and Vitamins and Health, Watkins Visiting Professorship, Forum Board Talk, Wichita State University, Wichita, Kansas, April 23-24, 1984. World Peace and Nuclear Arms Control: Where Do We Go From Here? Yeshiva University, New York, April 23, 1987. Prophylactic and Therapeutic Value of Vitamins, Yale School of Medicine Lecture Series, Yale University, New Haven, Connecticut, April 23, 1991. National Academy of Sciences Award in Chemical Sciences, [established in honor of Armand Hammer], April 23, 1979. 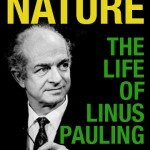 Today, Linus Pauling is most commonly known for unraveling the chemical bond, working for peace, and promoting vitamin C. However, this short list barely scratches the surface of Pauling’s work in any number of fields. Beginning today, we will explore a lengthy program of research that Pauling oversaw on the serological properties of simple substances, a title that he appended to fifteen publications authored from 1942 to 1949. Post one in this series will focus primarily on Pauling’s background in biology and the work that led up to his first set of serological publications. One of Pauling’s first major forays into the world of biology came about through his study of hemoglobin, the molecule responsible for transporting oxygen in the blood. Specifically, in 1934, he launched a study hemoglobin partly as a means to begin a larger inquiry into the structure of proteins. At the time, the Rockefeller Foundation was keenly interested in funding studies of “the science of life,” and Pauling’s grant request was promptly approved, with the first injection of funds received in July 1935. Although Pauling had originally intended for the grant money to go specifically toward his work on hemoglobin, as he corresponded with his funders he expressed an openness to studying other “interesting biochemical problems,” and indeed this quickly became the case. 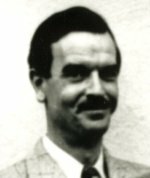 A few months later, in 1936, Pauling met Karl Landsteiner, whose ideas would help to shape the course of Pauling’s research for the next several years. Landsteiner was an Austrian biologist and physician best known for discovering the human blood groups. By the time that he met Pauling, he was also actively engaged with topics in immunology. Over the course of their conversations, Landsteiner passed this interest on to Pauling, who became fascinated by the specificity of antigens (foreign substances that enter into the body) and antibodies (proteins that neutralize antigens and prevent them from causing harm). The human immune system is capable of building thousands of antibodies, each of which reacts with a specific antigen. This specificity is seen in few other physical or chemical phenomena. However, one area in which it is found is crystallization, an area of chemistry with which Pauling was very familiar. This body of knowledge set Pauling down a path to making important contributions to the study of antigen-antibody behavior. As he sought to learn more, Pauling read Landsteiner’s recently published book, The Specificity of Serological Reactions, finishing it shortly after their initial meeting. The following year, 1937, Pauling and Landsteiner met again and spent several days discussing the most current ideas in immunology. For Pauling, immunology presented two particularly compelling questions: First, what were the forces that enabled the combination of an antibody and its homologous antigen, but no other molecule? Second, how were antibodies produced and how did this means of production allow antibodies and antigens to combine so specifically? 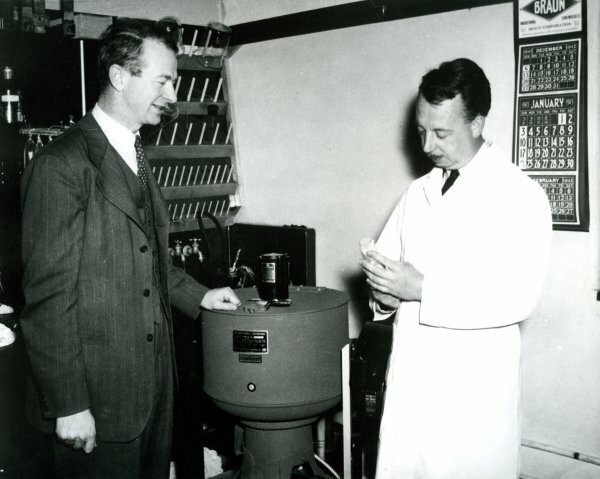 Dan Campbell and Linus Pauling in a Caltech laboratory, 1943. In 1939, Pauling decided to shift the bulk of his research focus to the interaction dynamics of antigens and antibodies. As his work moved forward, Pauling came to theorize that the specificity shown by antibodies when combining with antigens depended on how well-matched the shapes of the two molecules were, a theory called molecular complementarity. In other words, antibodies and antigens were able to come together because their shapes complemented one another, like a hand in a glove. From there, Pauling developed a plan to perform a broad range of experiments that would, he hoped, strengthen this theory and prompt it forward as the accepted explanation for the specificity of serological reactions. To assist in this promising line of inquiry, Pauling hired Dan Campbell, at the time a research fellow at the University of Chicago, to come to Caltech and serve as the Institute’s first faculty member in Immunochemistry. Campbell arrived in January 1940 and remained at Caltech until his death in 1974. Once relocated to Pasadena, Campbell starting out by working on structural studies of hemoglobin – Pauling’s old research project dating back to 1934. A few months later however, a key shipment of serum antigens arrived from Karl Landsteiner’s laboratory, and both Campbell and Pauling began experimenting on the issue of the day. Initially, the duo encountered only disappointment as they uncovered no results of interest. However, the early setbacks did not stop Pauling. He persevered and, in October, published a landmark article, “A Theory of the Structure and Process of Formation of Antibodies,” which detailed his ideas on molecular complementarity. In 1941, Pauling began an experimental program on serological reactions focusing on simpler organic compounds whose structure he already knew. In so doing, he also began to add more collaborators. Besides Campbell, the first of these was David Pressman, who earned his doctorate under Pauling and then stayed on at Caltech to support the nascent immunology program until finally leaving in 1947. In addition to the simple substances work, this trio of researchers also continued other lines of study pertaining to Pauling’s antibodies projects. In early 1942, one of these produced what seemed to be an incredible result: that March, through a press release rather than a conventional journal article, Pauling, Campbell and Pressman announced that they had created artificial antibodies. A wide array of newspapers and magazines picked up the story and interest rapidly grew. However, other scientists could not replicate the trio’s results and skepticism of the group’s claim began to mount. Pauling, however, continued to believe that his team had truly created artificial antibodies, though subsequent efforts found only dead ends. 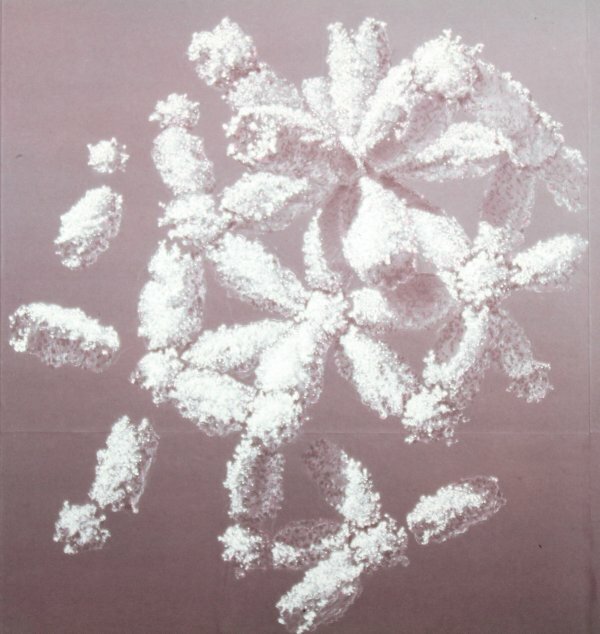 Undaunted, Pauling continued his experiments on serological reactions in simple substances and, in December 1942, published the first four papers of what would ultimately become a fifteen-paper series. This body of scholarship was the culmination of several years of work conducted by many people including Pauling, his two main collaborators, David Pressman and Dan Campbell, as well as one other non-student colleague. Several graduate students also supported the effort by helping to prepare the necessary compounds and running the experiments; as the publication series ran its course, eight were eventually listed as co-authors. Three graduate students, Carol Ikeda, Miyoshi Ikawa, and David H. Brown, were involved in the first four papers. Beginning next week, we will take a closer look at the details of what this group published. 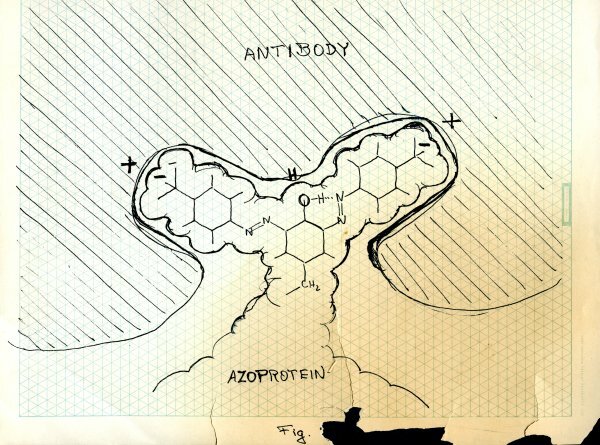 Drawings of the interaction between an antibody and azoprotein by Linus Pauling. 1940s. 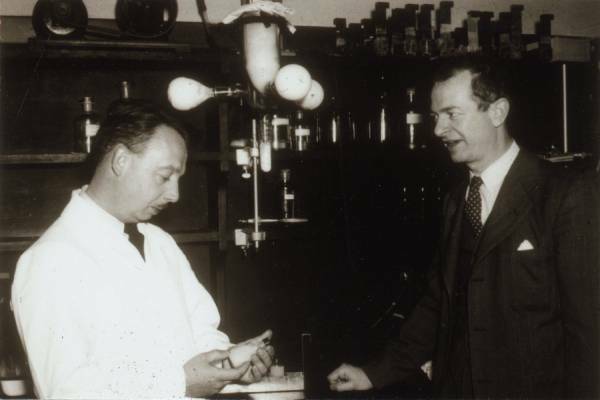 Dan Campbell first collaborated with Linus Pauling on a fellowship at Caltech in 1940, during which time the duo tried to explain how antibodies are formed. At the time, Pauling believed that antibodies were proteins in-the-making that needed to bind to antigens in order to fold and complete their structure. If this principle was correct, Pauling thought, it might be possible to create artificial antibodies by simply denaturing proteins and allowing them to bind and refold in the presence of antigens. Despite the fact that Campbell’s initial test results cast doubt on his collaborator’s theories, Pauling went ahead and published his ideas on how antibodies work, hoping that further research could support his paper. Thus began a lengthy study of antigen-antibody binding in which Pauling and Campbell attempted to develop a complete theory. Along the way, Dan Campbell’s research at Caltech would become very important to the Institute as well as to Pauling. In 1943 a Caltech research fellow named David Pressman agreed to join Campbell and Pauling in their study of immunology. Starting with work that had previously been published, Pressman, Pauling and Campbell refocused their studies to explain how antigens and antibodies bind, a change in focus from Campbell and Pauling’s earlier inquiries into how antibodies and antigens are formed. The decision to focus on previous research was made after Pauling had mistakenly announced that antibodies had successfully been synthesized at the Gates and Crellin Laboratories. As it turned out, attempts to create synthetic antibodies using Pauling’s proposed methods were completely unsuccessful. Pauling thus decided to start from scratch by developing a theory of antigen-antibody binding, which he would use to further investigate the chemistry of this interaction. In July 1943, the three men published “The Nature of the Forces Between Antigen and Antibody and of the Precipitation Reaction,” appearing in the journal Physiological Reviews. The paper attempted to make more educated predictions about antigen-antibody binding. In doing so, the article begins by referencing the concept of structural complementarity, which posits that antigen-antibody binding is driven by the close complementary physical shapes of the two molecules, which fit together like two adjoining pieces in a jigsaw puzzle. Commonly referred to as “the lock and key mechanism,” this idea was developed in the early 1930s, and served as Pauling and Campbell’s starting point in their initial investigations. 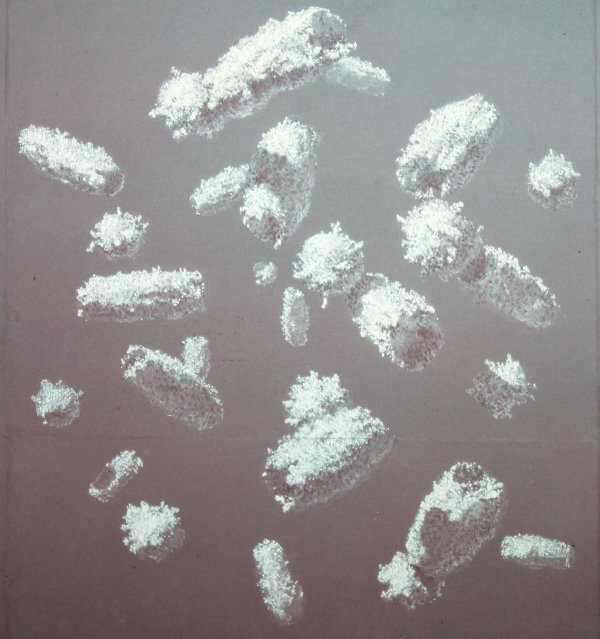 The 1943 study also drew from outside theories, such as the framework theory of precipitation, to suggest that antigen-antibody binding results in the formation of a precipitate; that is, that the two structures react to form an insoluble compound. Using these points as their foundation, the three researchers developed a new theory of antigen-antibody binding. Campbell, Pressman and Pauling’s breakthrough came by way of their proposal that structural complementarity is an especially important feature for reactions that depend on Van der Waals forces. Van der Waals forces are weak forces of attraction that bind together molecules located in close proximity to one another. The Caltech researchers believed that the close complementary geometry of antibodies and antigens was significant enough to enable these molecules to fit together using the weak Van der Waals attraction as a binding force. In other words, the summation of Van der Waals forces present along the binding site of an antibody worked to bind it to its antigen, specifically because the shapes of antibodies and antigens complimented each other so closely. This theory explained much of what had been observed by immunologists across the discipline in multiple investigations of antigen-antibody reactions. From here, the three researchers also asserted that two propositions placed forth in Pauling’s 1940 paper should still be considered for further study: the multivalence of antigen-antibody interactions and the probability of hydrogen bonds acting between the two molecules. The trio also concluded that the antigen-antibody mechanism would require at least two supplementary types of forces: Coulomb attraction and polar attraction. Of the conclusions published by Campbell, Pressman and Pauling in 1943, the multivalence of antigen-antibody interactions and the three proposed forces (Van der Waals, Coulomb and polar) between the two molecules are still considered to be contributing factors to the functioning of the human immune system. With this publication, Campbell, Pauling and Pressman also showed that the immune system relies heavily on both structural and chemical features to carry out its processes. The important conclusions derived from research conducted by Campbell, Pauling and others established Caltech as a leader in the field of immunology. Over the years that followed, Campbell and Pauling continued to develop their theory of antibody formation, which remained widely accepted until the 1950s. Even when the duo’s work began to be disproven by findings in the genetics field, the understanding of antigen-antibody interactions suggested by research done at Caltech remained undisputed. For thirty years, Campbell headed Caltech’s immunochemical research and his fame as an immunologist grew to the point where, in 1972, he was named president of the American Association of Immunologists. Two years later, in 1974, Campbell passed away at the age of 67, the victim of a heart attack. Over the course of his career, he published more than 200 papers as well as several books, and he served on editorial boards of four scientific journals related to immunology. As a scientist, Linus Pauling is remembered by many for combining his expertise in chemistry with other fields. Often times Pauling would start off thinking about a problem from a chemical perspective and end up learning about a field entirely new to him, like cellular biology or medicine. Though this sort of cross-disciplinary work is more commonplace today (partly because of the example that Pauling provided), in the 1930s it was fairly rare for scientists to combine different fields of study. This given, pioneers of the cross-disciplinary approach often found it difficult to identify like-minded researchers with whom to collaborate. Fortunately for Pauling, a man with a very wide network, other researchers often found him. After delivering a talk about hemoglobin in 1936, Pauling was pleasantly surprised to be consulted by Austrian medical researcher Karl Landsteiner. For many years, Landsteiner had been trying to understand how antibodies in the immune system work, and he believed that Pauling’s knowledge of medicine and chemistry could help him in his investigations. An antibody is a disease-fighting macromolecule that targets and rids the body of unwanted foreign substances, such as viruses and incompatible blood types. Landsteiner wanted to know how antibodies can target specific foreign substances with such precision. This encounter drew Pauling’s attention to the field of immunology, which would eventually become an important part of his research and would remain so for many years to come. Pauling’s communications with Landsteiner spurred an interest in looking into the chemistry of antibodies and their substrates, antigens. At the time, however, most of Pauling’s focus was necessarily occupied with finishing up his previous program of grant-funded research on protein structures. Furthermore, Pauling was not an immunologist and the demands on his time were such that he could do little more than keep immunology in the back of his mind. It wasn’t until 1939 that Landsteiner once again brought Pauling’s full attention back to antigens when he used Pauling’s theory of protein structure in a discussion about antibodies. Reading Landsteiner’s article sparked several ideas for Pauling which quickly led to his drafting a rudimentary theory of antibody chemistry. Six months later he found the perfect opportunity to test some these ideas. In January 1940, immunologist Dan Campbell first visited Caltech on a fellowship. Campbell was an Ohio native who had been trained at Wabash College in Indiana and George Washington University in St. Louis, before receiving a doctoral degree from the University of Chicago, where he was subsequently hired as an assistant professor. During his tenure at Chicago, Pauling invited Campbell to spend a fellowship period at Caltech. Campbell was only scantly familiar with the Institute, but was aware of the reputation of its chemistry department and accepted Pauling’s offer largely on this basis. Due to his unfamiliarity with the institution, by the time of his arrival in Pasadena Campbell had still not yet identified a research project on which to collaborate. 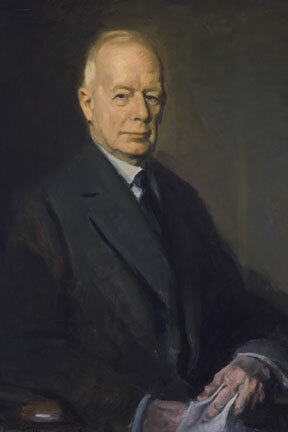 Pauling advised Campbell to consider different researchers before making his final decision on where and with whom he might work. In the end, after asking around, Campbell chose to collaborate with Pauling on his theory of immunology. This was a fortuitous decision, for several reasons. First, in addition to immunology, Campbell had a background in biophysics and chemistry, which made him a perfect candidate to test and develop Pauling’s antigen theory. More importantly, as Campbell began his initial investigations, it became apparent that Pauling’s ideas were flawed and that Pauling’s knowledge of chemistry alone would not be sufficient to make further progress in immunological research. Pauling had alleged that antibodies were similar to denatured proteins; that is, a protein that has lost its secondary and tertiary structures and has unfolded into an amino acid chain. Pauling’s theory anticipated that antibodies were an unfinished protein that required specific antigens in order to fold into the proper secondary and tertiary structures. According to this model, antibodies would only form hydrogen bonds and thus would coil around chemically complementary antigens. As such, the theory explained how antibodies are able to bind unambiguously to their complementary molecules. However, Campbell’s results did not support all of Pauling’s ideas. Though his research showed that antibodies were in fact proteins, their physical structure before and after binding to antigens remained unclear. Pauling’s lack of evidence for his theory of antibody structure and composition limited him to publishing only a single theoretical paper in which he explained his ideas about antibodies. In July 1940 the Journal of the American Chemical Society featured Pauling’s “A Theory of the Structure and Process of Formation of Antibodies.” The article received much attention and, despite the lack of evidence, was widely acclaimed, though it failed to provide a definitive explanation for antibody structure. After the publication of the piece, Campbell once again tested Pauling’s theory, and this time his results were much more confusing, to say the least. Initially, it appeared that Campbell had succeeded in creating artificial antibodies by simply denaturing beef globulins (a protein found in blood) and later allowing them to refold around an antigen. Word of these results greatly excited Pauling, who began to envision the mass production of antibodies using Campbell’s method. Reality turned out to be not so simple; when students and postdoctoral fellows tried to replicate Campbell’s experiment, they were unable to obtain the same results. Looking back now, it seems most likely that Campbell’s research assistants had misinterpreted the results of his experiment. Pauling knew that he would need more time with Campbell to refine his theory, but that could only happen if Campbell’s position at Caltech was secured. In 1942 Pauling arranged for the Institute to offer Campbell an assistant professorship, which he accepted. By 1950 Campbell had become a full professor. Combining immunology and chemistry proved to be a commendable approach for tackling many health concerns of the time. Likewise, Campbell’s presence was crucial to the development of Caltech’s immunochemistry department, which over a span of five years grew from a single office (Campbell’s) to a space occupying most of the third floor of Caltech’s Church Laboratory. Students and professors alike flocked to the growing department to discuss questions and engage in research on immunology, using chemistry as the basis of their approach. From the outset, both Pauling and Campbell benefited from one another’s expertise while colleagues at Caltech, and their partnership would continue to yield fruit for many years. Unfortunately the amount of war work which is being done now here is so great that the usual seminars and informal discussions of science have decreased somewhat in number, but still a good bit of work in pure science is being carried on. To help remedy this situation, Pauling corresponded frequently with William C. Boyd of Boston University’s School of Medicine, trying to persuade him to transfer to Caltech over the summer. Boyd refused, stating that he had too many other medical defense projects, though suggesting that “perhaps it will not be too late when the war is over, unless it goes on for 10 years or more, as some pessimistic writers predict.” Pauling also failed to hire two other well-known researchers, Henry F. Treffers, and A.M. Pappenheimer. Both declined because he was only able to offer a one year position. Indeed, from 1942-1943, Pauling actively tried to find staff for his lab, offering a $3,500 one-year position and draft deference. Despite this, most of the competent researchers he wanted were otherwise employed doing war work. He was able to hire Leland H. Pence in December of 1942, and in 1945 Frank Johnson visited from Princeton and worked at the lab in Caltech a bit. These individuals were, however, the exceptions, and Pauling was generally unsuccessful with his offers of employment. Pauling was also facing other staff issues that were relics of the era. Among his group were two employees who were born and raised in the United States, but whose families were Japanese, Carol Ikeda and Miyoshi Ikawa. All too cognizant of the forthcoming policy of internment, Pauling began corresponding with Michael Heidelberg of Columbia University, hoping that he could temporarily trade employees as a method of getting Ikeda, at least, to a less hostile location. The plan did not work out, and Heidelberger ended one of his letters to Pauling bemoaning the fact that “…unfortunately a lot of wholly patriotic people are going to suffer.” Pauling was eventually able to get both Ikeda and Ikawa into graduate programs, though doing so took a substantial amount of work. Dan Campbell and Linus Pauling, 1943. Even though William Boyd had refused a job, he and Pauling continued to correspond frequently. Boyd was critical of Pauling’s theories on antibodies, warning his colleague that “preconceived notions evidently play a big role in the field [of immunochemistry. ]” Boyd told Pauling to be careful with his research and his declarations, as he had often made arguments that he felt infallible only to have his colleagues inform him that they were unconvinced. In August 1942, five months after issuing his controversial press release, Pauling finally published his research on artificial antibodies in an article titled “The Manufacture of Antibodies in vitro,” which appeared in the Journal of Experimental Medicine. As with the press release, Pauling’s paper was somewhat lacking in detail and many scientists found it hard to replicate his experiments. Those who did, such as Pauling’s valued colleague Karl Landsteiner, were unable to obtain the same results that Pauling had reported. Despite this, Pauling remained convinced that his research was valid and worth pursuing. However, Pauling’s collaborator Dan Campbell seemed to be the only one who could successfully produce the antibodies, and even those were weak and ineffective. In early 1943 the Rockefeller Foundation assigned Frank Blair Hanson to assume some of the work that Warren Weaver had been conducting, and right away it was clear that Hanson was notably “less entranced than Weaver with Pauling’s work.” Despite the fact that he agreed to continue funding Pauling’s artificial antibody research, he was skeptical of its worth and began polling immunologists across the country to that end. They did not respond favorably – even Landsteiner believed that there was a less than 50% chance that Pauling had actually created artificial antibodies. As a result of these lackluster opinions, Hanson cut Pauling’s funding by half. The claims are again rejected for lack of utility as no evidence has been presented to show that the antibodies alleged to be produced by the claimed have any utility at all… The claims are rejected as being too broad, functional, and indefinite…the claims are rejected for lack of invention…all the claims are rejected. Pauling was disheartened by this response but still confident that he could salvage the project. However, shortly afterward he received a letter from the Rockefeller Foundation informing him that they did not approve of researchers using their funds to apply for medical patents. Because of the letter, and the general ineffectiveness of the research, Pauling opted not to pursue his patent application any further. As 1943 progressed, Pauling continued to piece together a better understanding of how antibodies adhere to antigens. Later that year, he and Campbell published a paper in Physiological Review which further elaborated on their idea that shape was the primary determinant of antibody functions. They wrote that while many of their colleagues at other institutions felt that antibody formation adhered to a “lattice theory,” they did not, because their research showed that the structures created by antibody/antigen precipitation were not regular enough. Instead, they coined the phrase “framework theory” to describe their idea. By the winter of 1943-1944, Pauling had at last concluded that the artificial antibody research was going nowhere. This was a difficult admission for Pauling because, despite the fact that progress in the research was still slow, he was convinced that he could make it work if given more time. Unfortunately for him, the war effort demanded quicker results and actively prohibited greater focus on antibodies. In the end, he decided to abandon the artificial antibodies research. Pauling never retracted his support for the work, though many years later Dan Campbell admitted that a laboratory technician had “shaded” the results to fit what he thought Pauling wanted to see. The failure of the artificial antibodies project allowed Pauling to move on to more productive lines of research. He continued to build his ideas on how exactly antibodies function, and by 1945 he was able to prove that shape was indeed what caused antibodies to adhere to antigens. In Pauling’s description, the antibodies would fit to the antigens like a glove, at which point they adhered, not due to orthodox chemical bonds, but because of another weak, poorly understood force. The force that causes antibodies to bind with antigens is called the van der Waal’s force. It is a very weak, almost imperceptible subatomic bond between two molecules existing in extremely close proximity. Historically, due to their weakness, van der Waal’s forces had been ignored as viable components of biochemical reactions. However, Pauling was able to show that the extremely tight fit between antibodies and antigens exposed a large surface area across which the van der Waal’s force could become a factor. The fit had to be precise, as even one or two atoms being out of place would effectively break the hold that the van der Waal’s force put into place. This concept, known variously as molecular complementarity or biological specificity, cast a great deal of light on a central mystery of molecular biology. With it, Pauling was additionally able to confirm his earlier hypothesis that antibodies are bivalent. As World War II drew to a close, Pauling shifted his focus away from antibodies and back towards a more general study of the shape, creation, and function of proteins. Pauling’s focus on proteins was long lived, stretching at least twenty-five years from 1933-1958. His foray into antibodies was notably shorter, a nine-year interlude from 1936-1945. Yet in this time, he had managed to dramatically impact immunochemistry with his discovery that antibodies are bivalent and his insights into how they work. These accomplishments are made even more impressive when considering that Pauling was neither an immunochemist nor an immunobiologist by trade. As was so often the case during his life, he threw himself into the challenge with characteristic enthusiasm, and managed to make major contributions to the field. Linus Pauling and Dan Campbell, 1943. By late 1939, Linus Pauling had thrown himself wholeheartedly into the study of antibodies, specifically how they work and how they are made. He’d already developed a few memorable and unique hypotheses, though by 1940 they were still yet to be proven correct or otherwise. all antibody molecules contain the same polypeptide chains as normal globulin, and differ from normal globulin only in the configuration of the chain; that is, in the way that the chain is coiled in the molecule. Nobody knew about the genetic basis of amino acids at the time. As a result, while Pauling’s hypothesis on how antibodies worked eventually turned out to be correct, his coupled hypothesis on how they were formed was still wrong. Regardless, Pauling’s theory “ruled the roost amongst immunochemists” for almost 20 years. It wasn’t even until 1949 that people began to seriously question Pauling’s model, and when that finally happened, it was because the model failed to account for the development of immunity to antibodies. In July a colleague at Caltech, Max Delbrück – a German researcher who had arrived in the US on a study abroad trip and never went home – showed Pauling a paper written by Pascual Jordan, another German scientist. Jordan claimed that identical molecules were attracted to each other, and opposite molecules repelled from one another, because of quantum mechanical resonance. Pauling declared the idea “baloney,” and decided to write a paper debunking Jordan’s theory. He asked Delbrück to co-author it, which he did with hesitation, as the young scientist was nervous about signing his name to a paper attacking the theories of the famous and well-respected Jordan. The duo finished the paper and published it in Science, but unfortunately for them, the work went largely unnoticed. Since the start of the Battle of Britain in 1940, Pauling had been doing some side research on explosives, propellants, and other “war work” in anticipation of United States involvement in the war raging across Europe and the Asia. In 1941, U.S. engagement finally came about with the attack on Pearl Harbor. Pauling and his laboratory at Caltech switched their main priority to war work, as did just about every other research laboratory in the country. As part of this realignment of efforts, Pauling received a grant to begin a research project with the goal of creating gelatin-based blood plasma artificial antibodies, to be used for military medical purposes. Pauling hypothesized that if a generic protein, such as beef globulin, was very carefully denatured, then placed in the presence of an antigen and revitalized, it would grow and mold itself to the antigen. If this worked, medical technicians would someday be able to create antibodies “made to order.” The potential import of the idea was clear: “the end result of a million years of evolution” would become available “by the quart.” Successful implementation would represent a massive breakthrough in medical technology, and Pauling was convinced that he was just the man to do it. He picked Dan Campbell and David Pressman to be his primary assistants and the group got to work. The process was slow and complicated; it involved a mixture of 1-2% beef globulin, dissolved in 0.9% sodium chloride, then very slowly heated to 57˚F. Once at that temperature, alkali would be carefully added to bring the mixture to a pH of 11, before very delicately and slowly returning the mixture to pH 0. To further complicate issues, the process produced a large amount of nitrogen, which had to be removed, but the process of removing the nitrogen created carbon monoxide and other “undesirable substances.” The Pauling group tested their antibodies on rabbits, mice, and guinea pigs predominantly, as their labs lacked the space for more extensive animal research. In March 1942, instead of submitting his ideas to a peer-reviewed scholarly journal, Pauling issued a press release to Science News, claiming that his lab had developed artificial antibodies. Text of Pauling’s artificial antibodies press release, March 1942. The scientific community was vexed by this highly unusual action. Numerous scientists questioned the strength of the data, saying that the reports released by Pauling and Campbell were vague and weak. Pauling asserted that while the data they had gathered was not definitive, it was strong enough to make the statement that artificial antibodies had been produced. Pauling said that his artificial antibodies, though weak, were still real, and that he was going to continue improving on them. Specifically, he claimed that the antibodies had been used to prevent mice from getting pneumonia. Pauling’s reputation helped to coax certain colleagues in the direction of his arguments. And after some skillful debating, the Rockefeller Foundation offered $31,000 to continue the research, while the federal Office of Science Research and Development offered $20,000. Despite the skepticism of his peers, Pauling was enthusiastic and eager to continue research on this line of work. He had the funding and the desire, and he was convinced it was only a matter of time before he could start mass-producing artificial antibodies. However, he was about to run into some issues outside of his laboratories. An original container of 5% Oxypolygelatin in normal saline. 1940s. During World War II, Linus Pauling, along with Dan H. Campbell and Joseph B. Koepfli, created a blood plasma substitute which they dubbed “oxypolygelatin.” This new compound seemed to be an acceptable substitute for human blood, but needed more testing to be approved by the Plasma Substitute Committee. Unfortunately when Pauling asked for additional funds to carry out more testing in 1945, he was denied by the Committee on Medical Research, which had been funding research up until that point. By the time Pauling received more funding the war had almost come to a close, and it ended before oxypolygelatin got off the ground as an acceptable blood substitute. Likewise, the need for artificial blood was less pressing after the conclusion of the war. More information on the creation and manufacture of oxypolygelatin can be found in our blog posts “Blood and War: The Development of Oxypolygelatin, Part 1,” and “Pauling on the Homefront: The Development of Oxypolygelatin, Part 2.” Today’s post will focus on the patenting, ownership and uses of oxypolygelatin after World War II. Pauling seemingly gave up on the project after 1946, mostly because widespread blood drives organized by the Red Cross and other organizations lessened the demand for artificial blood. In 1946 Pauling, Campbell and Koepfli decided to file for a patent on oxypolygelatin and its manufacturing process, which they then transferred to the California Institute Research Foundation with the stipulation that one of the inventors would be consulted before entering into any license agreement. They also noted that the Institute should collect reasonable royalties for the use of the invention, but only so much as was needed to protect the integrity of the invention. 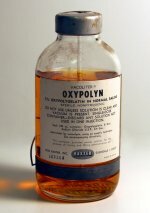 The “Blood Substitute and Method of Manufacture” patent was filed December 4, 1946, and the Trustees of the Institute agreed to take on ownership of oxypolygelatin and the patent application in early 1947. 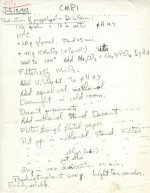 Notes by Linus Pauling on a method for producing oxypolygelatin. July 23, 1943. Although it would appear that Pauling gave up on the oxypolygelatin project with the transfer of ownership, he still pushed for its manufacture years later. In October 1951, he wrote to Dr. I. S. Ravdin of the Department of Surgery at the University of Pennsylvania Medical School to inform him that oxypolygelatin was not being considered seriously enough by the medical world as a blood substitute. Pauling insisted, “…that it is my own opinion that Oxypolygelatin is superior to any other plasma extender now known.” He likewise noted that it was the only plasma extender to which the government possessed an irrevocable, royalty-free license, so he could not understand why it was not being stockpiled and utilized. As far as Pauling knew, only Don Baxter, Inc., of Glendale, California, was manufacturing oxypolygelatin. At this point the rights to oxypolygelatin were owned by the California Institute Research Foundation, not Pauling, and the Institute was not authorized to make a profit from it. Consequently, Pauling’s insistence on the production and usage of his invention can only be explained by a concern for humanity, coupled perhaps with an urge to see the compound succeed on a grander scale. Oxypolygelatin, on the other hand, was rapidly hydrolyzed into the bloodstream and would not cause long-term damage. It was also a liquid at room temperature, unlike other gelatins, and was sterilized with hydrogen peroxide to kill any pyrogens (fever-inducing substances) while many other gelatin preparations failed because of pyrogenicity. One of the only problems with oxypolygelatin was that the chemical action of glyoxal and hydrogen peroxide could potentially produce undesirable materials, but the matter could be cleared up with further investigation. In reply, Ma expressed interest in oxypolygelatin and said that he had passed Pauling’s paper on to a group of biochemists, but that he was personally more interested in Pauling’s work on vitamin C. The rest of their correspondence focused primarily on the benefits of vitamin C, especially in the treatment of psoriasis. In a 1991 interview with Thomas Hager, author of the Pauling biography Force of Nature, Pauling claimed, “I patented, with a couple of other people in the laboratory, the oxypolygelatin. I don’t remember when I had the idea of making oxypolygelatin. Perhaps in 1940 or thereabouts.” He added that it was not approved by the Plasma Substitute Committee, so it was not usable for humans, but was manufactured instead for veterinary use. At the time of the interview, Pauling believed that oxypolygelatin was still being manufactured in some places, but was unsure of the details since there were many rumors floating around. According to him, the Committee on Plasma Substitutes did not approve his oxypolygelatin because it wasn’t homogenous; meaning that, on the molecular level, it included a range of weights. Pauling, however, believed that the range in molecular weights should not matter, since naturally occurring blood plasma includes serum albumin and serum globulin, whose molecular weights fall in a wide range anyway. 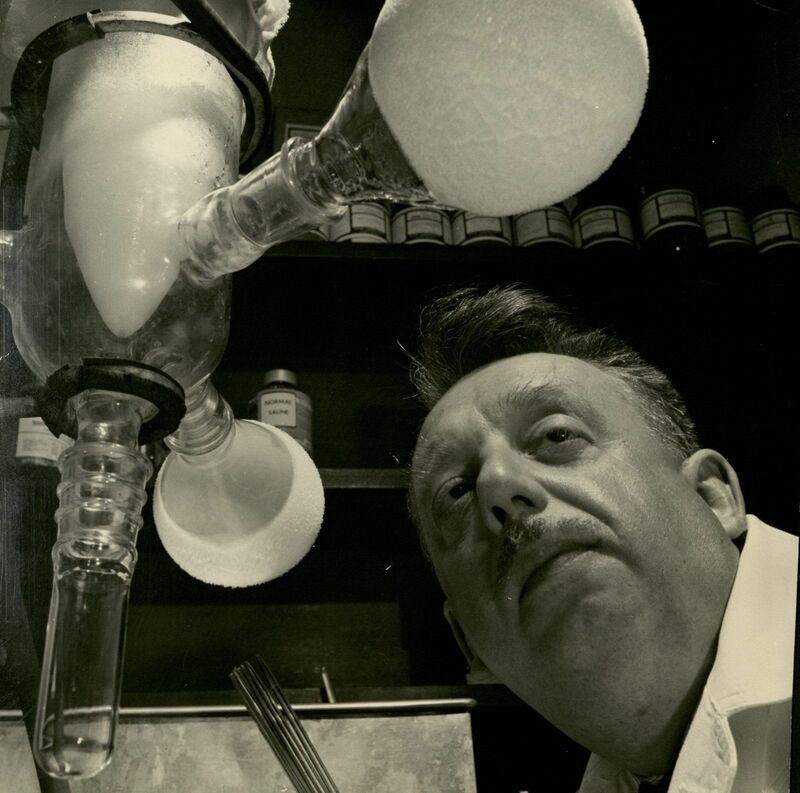 In 1992 Hager also interviewed Joseph Koepfli, one of the co-inventors of oxypolygelatin. Koepfli claimed that oxypolygelatin was at one time used by motorcycle officers around L.A. because they were the first to the scene of accidents. He also remembered that, in the early 1980s, Pauling had told him that oxypolygelatin was used for years in North Korea, but that no one was ever paid any royalties. These and a few other rumors about oxypolygelatin circulated, but evaluating their worth is virtually impossible due to the secrecy surrounding wartime scientific work, as well as the scarcity and ambiguity of the surviving documentation. Judging from Pauling’s opinions though, what can be said is that perhaps if it had been pursued more vigorously, oxypolygelatin could have benefited the war effort and proven successful on a commercial level. Linus Pauling and Dan Campbell in the laboratory, California Institute of Technology. 1943. In early 1942, Merck & Co. began producing penicillin with the intention of making it available for soldiers in the field. Up to that point, the company was able to produce only tiny amounts of the drug, making it a precious commodity. They needed a way to mass produce penicillin. While chemists and biologists worked frantically to devise a better production method, Linus Pauling began to consider a completely different approach to the problem: What if smaller quantities of penicillin were needed to treat a patient? From his oxypolygelatin experiments, Pauling knew that one of the biggest issues with conventional gelatin-based plasma substitutes was that they typically left the bloodstream at a rapid rate, requiring multiple injections. Pauling and Dan Campbell‘s process for treating gelatin in the oxypolygelatin program had caused molecular chains to form and required more time to cycle out of the blood. In thinking about this new problem, Pauling theorized that, by pairing a penicillin molecule with a protein molecule, the substance would remain in the bloodstream for a longer period of time, greatly increasing its effectiveness. Pauling first presented his and Campbell’s idea for penicillin in the fall of 1943, generating positive feedback from Office of Scientific Research and Development (OSRD) officials and Committee on Medical Research (CMR) staff. And after conducting more experiments with oxypolygelatin, Pauling had enough evidence to move forward. Portrait of A. N. Richards, ca. 1940s. National Academy of Sciences image. Unfortunately, all of the enthusiasm that Richards, Pauling, and Campbell could muster wasn’t enough to make the project succeed. One major deterrent to success was the fact that at the time of the experiments, the molecular structure of penicillin was still classified, forcing Pauling to make guesses as to the way the molecule could combine with gelatin. As a result, what should have been a well-planned series of experiments instead became a game of guess-and-check. By late December 1944, Pauling was ready to submit his first report and the results were not promising. Pauling and Campbell had treated the penicillin samples with urea, alkaline chemicals, and high temperatures – each a denaturing agent meant to break down the penicillin and reform it with the gelatin. On the contrary, these treatments appeared to cause the penicillin to deactivate. Instead of causing the penicillin to bond with the gelatin, the denaturing agents were destroying it. Pauling and Campbell provided Richards with a one-page report accompanied by a two-sentence cover letter. The investigation was going nowhere and there were other projects to be looked after. What the researchers didn’t say, however, was that Howard Florey and his team at the University of Oxford had, in the meantime, discovered a method to mass produce penicillin and were in the process of creating a large cache for military use. The need for augmented penicillin was gone. After the informal update was delivered to Richards, no other mention of the penicillin project appears in the Pauling Papers. It seems that the project was quietly discontinued without so much as the traditional final report to the CMR. Read: Force of Nature, now an e-book!